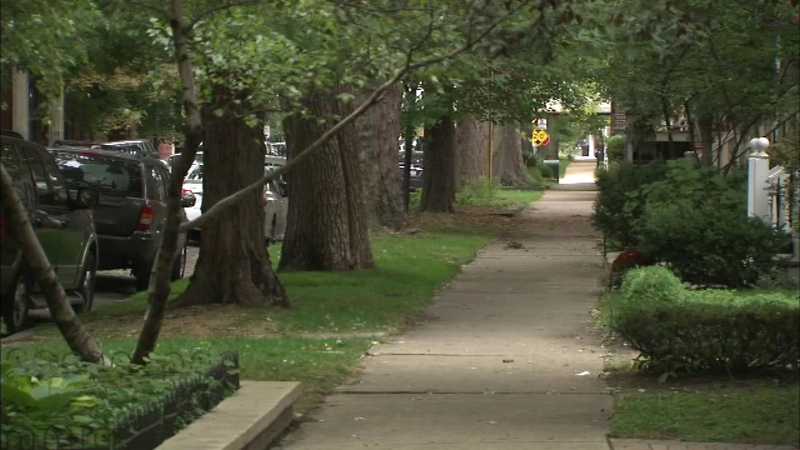 CHICAGO (WLS) -- Two more women were robbed just blocks away from Mayor Rahm Emanuel's home, the latest in what police say is a string of North Side muggings. Police say the first robbery took place around 5:40 a.m. in the 1700-block of West Belmont, when a 39-year-old woman was sitting in her car. According to police, two offenders approached the car, opened one of the doors and took her cell phone, then fled on foot. Thirty-five minutes later, at 6:15 a.m., a 26-year-old woman was walking alone in the 4000-block of North Hermitage, when police say two men emerged from an alley, pushed her to the ground and stole her purse. Police believe she may have been walking to or from the nearby Irving Park brown line stop. Police say there were no reports of injuries. "It's a little scary since I've always thought this neighborhood was very safe, and there's usually a lot of people walking to go to the train at early hours," says Valerie Lage, who lives nearby. These are the latest in a string of North Side muggings. Tuesday, 14-year-old Daniel Kelly was a victim in Roscoe Village. "One of my friends texted me, and I checked my phone quickly," Kelly told ABC7. "I was texting him back, and the guy came in, snatched it, and took off." Kelly's mugging was on about the same block as where a female retired cop was attacked Monday night. "I kind of feel like the police are falling down on their job, and I'm quite frankly a little bit worried about my own safety and security," says Mo Ferdman, a North Side resident. Phones were stolen in all of the incidents, and in most cases, police and victims say the suspect or suspects emerged from alleyways close to CTA stops.